Our Manual Application Testing Solutions ensure that your Web application, Mobile app or Software application is bug-free and help you to save cost significantly. Provide your users the amazing experience of using a seamless, high performance application! Manual application testing is the safest testing method that enables you to develop and deploy a bug-free, high performance application. In fact, manual testing is the most effective method when it comes to some types of testing such as interface testing, user acceptance testing, installation and error handling, usability testing and security testing. Manual testing helps you to even identify minor errors which the automated testing process may miss to identify – and know that some minor errors can do significant damage in the long run. Step by step manual application testing not only reduces the cost of application/software deployment and maintenance but also minimizes the risk of deploying poor quality application/software which could result in user backlash. One of the biggest advantages of manual testing is that testers use and test the features of the applications in the same way as the end users would, which in turn helps in identifying expected behavior of the users and getting flaws fixed if any – this sort of testing cannot be done perfectly by automated testing method. Technousa offers top-notch end-to-end testing services across industry verticals including Healthcare, Retail, IT, BSFI, Telecom, Logistics, Security, Data Center, Mobility, Energy and more. Our testers are highly trained and skilled and have vast experience handling a wide range of testing projects. These seasoned testers help us to provide our clients top-class testing services. We deploy agile methodology for manual testing and follow structured processes and best practices which help us to rationalize the test spend and also to identify defects early in the life cycle which results in shortened SDLC. 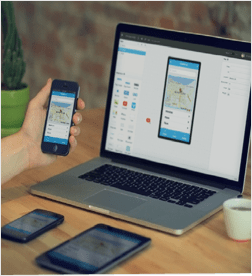 Advantages of Third Party application Testing – third party testing is very effective because it is reliable and brings fresh perspective and also results in unearthing of bugs, errors and issues that were never expected or anticipated. Technousa has a proven track record of being a reliable IT partner to many organizations across the world. 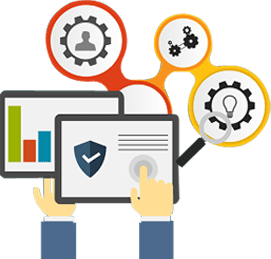 Being a reputable offshore agency, we can, not only offer top-notch third party application testing but can also provide the service at a competitive price. Hence you also get to leverage the offshore cost advantage. Compliance Testing (Regulatory testing compliance such as SOX, HIPAA etc). BI or Business Intelligence Testing including Reports Testing, Data Acquisition Testing, ETL Testing etc. End to End testing process management with a clear focus on making a positive impact on user loyalty, revenue growth and ROI. Let's get started! Hit the button below and fill the quick form. Get a custom quote within one business day!